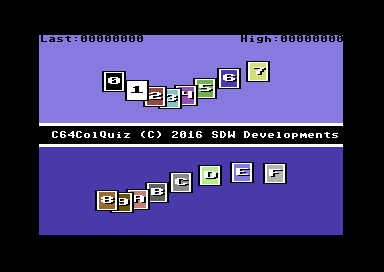 A 4kb game for C64 released by SDW Developments and Privy Software. Designed and programmed by Andreas Gustafsson, with music and sound effects by Vanja Utne. This is a tricky little game! 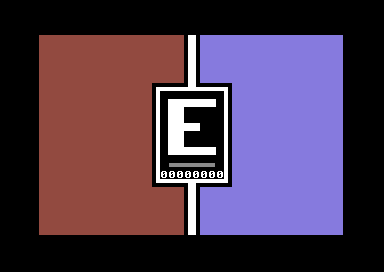 In addition to fast reaction skills it requires knowledge about what hex codes correspond with what colours on the Commodore 64 - or the ability to memorise them, as the colours and corresponding codes are displayed on the title screen. Fortunately, the C64 only has 16 colours, so it's not an impossible task!